Close to forty people headed south from San Diego Saturday morning, crossing the world’s busiest land border crossing at San Ysidro into Tijuana for the Turista Libre Tijuana Craft Beer Tour. 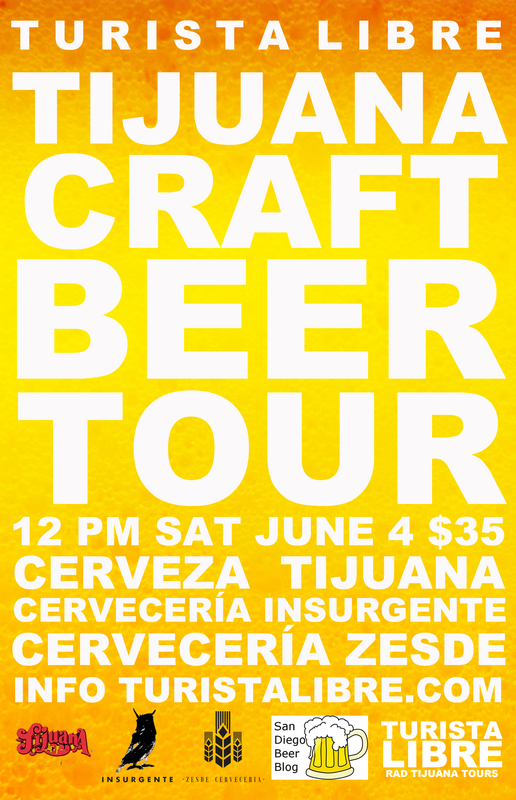 After passing through the gates into Mexico and joining up with a few Tijuanenses eager to learn more about craft beer in their city we boarded a bus with the destination of Cerveceria Tijuana. 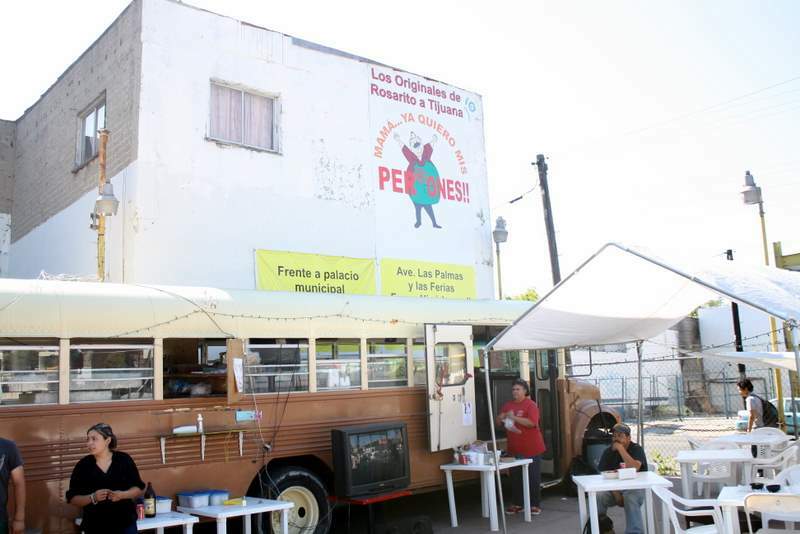 Turista Libre is a tour group run by Derrik Chinn, an American living in Tijuana that likes to take people off of Revolucion and show a side of Tijuana that many Americans never experience. Saturday’s group for the Craft Beer Tour was made up of beer geeks and beer industry people, employees from Stone Brewing Co., Bottlecraft, a beer blogger and a freelance beer writer were on hand, as well as non-beer geeks looking to learn more about beer. 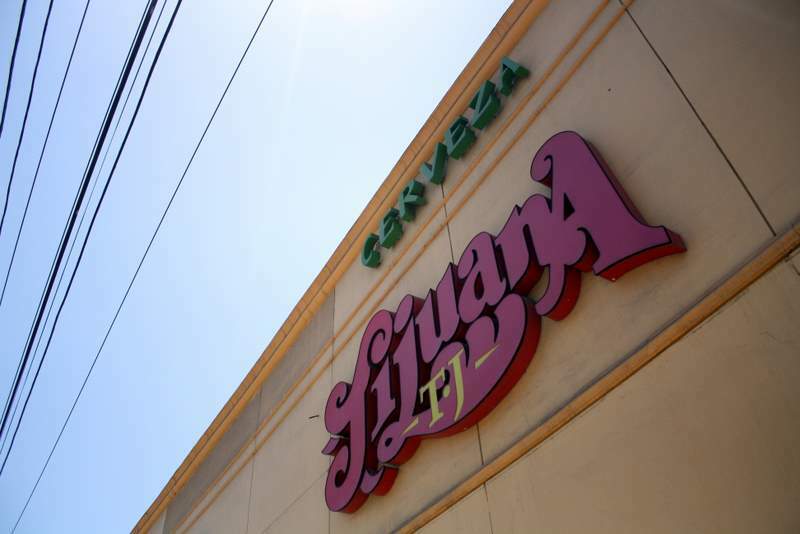 Cerveceria Tijuana is the oldest craft brewery in the city, located just south of downtown with a focus on German and Czech style lagers. After a quick brewery tour we settled into the pub which is adorned with solid wooden tables and ornamentation on the walls and stained glass windows creating the atmosphere of a continental pub. All six of their beers were sampled, Bronca Pilsner, Guera Pilsner, TJ Light Lager, Morena Dark Lager, Brava Dark Lager, and Bufadora Doppelbock. All were good examples of their style, perfect for warm days and long drinking sessions, but maybe a little light for the palates of those used to American craft beer. No one seemed to have complaints though, and Bufadora and Brava seemed to be the most favored among those I talked to. After Cerveceria Tijuana we boarded the bus and headed back downtown for street side lunch served out of a converted bus at Tacos Los Perrones with some adventurous folks walking a few blocks to the L.A. Cetto winery Tijuana boutique to pick up olive oil and wine from the Guadalupe Valley east of Ensenada before boarding the bus to head to Via Corporativo, the first LEED certified building in the region for a tasting with Cerveceria Insurgente. 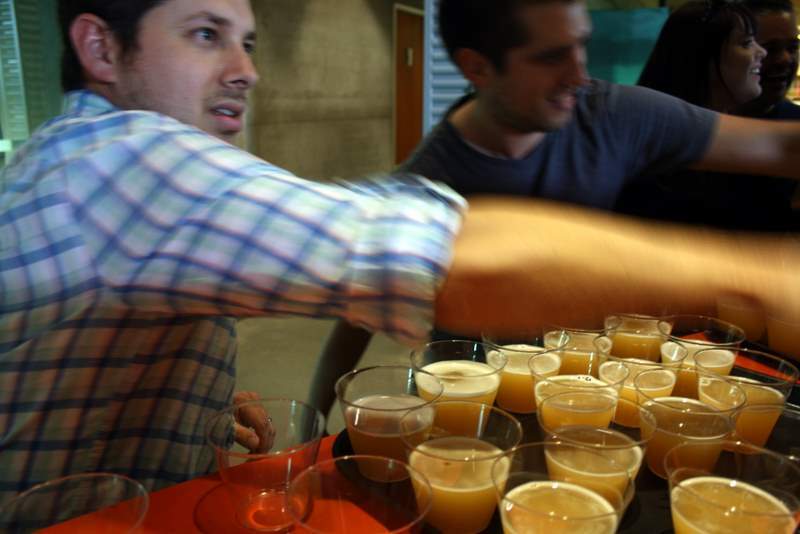 As stunning as the architecture of Via Corporativo is, Cerveceria Insurgente’s beer was the highlight of the stop. Started by two brothers, with Cerveceria Insurgente they want to revolutionize the palates of the people, many of whom have never had a beer not made by Grupo Modelo or Cerveceria Cuauhtémoc-Moctezuma the two largest brewers in Mexico that have a near duopoly on the beer market. Tiniebla, their Belgian-style wit was well spiced with coriander and orange peel, making for nice citrusy and creamy beer. Insurgente Brown, a 5% ABV Brown ale was a bit flat and didn’t stand out as much to me, but many people liked it and purchased bottles to take home that the brewers assured us were properly carbonated. Insurgente’s third offering, an IPA called La Lupulosa meaning “The Hoppy One” made up for any complaints about the previous beer. Brewed with five hops (Cascade, Centennial, Nelson, Warrior and Amarillo) La Lupulosa had a great aroma and flavor with a bitter punch to the taste buds. This is the kind of beer that those used to drinking Mexican lagers will need to work their way up to, but it easily pleased many of us used to hoppy West Coast style IPA’s. For our fourth stop we visited The Beer Box, Tijuana’s first craft beer store where we sampled some beers from local homebrewers and commercial beers from other parts of Mexico and many people purchased bottles to take home with them. 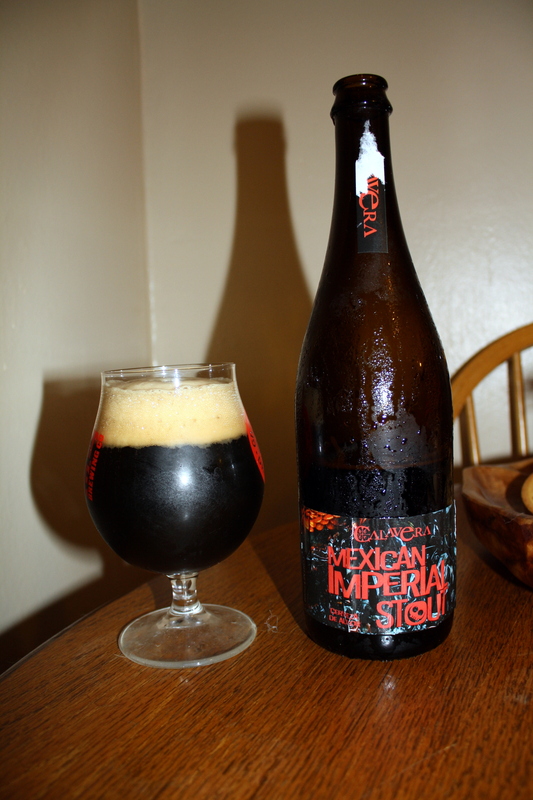 I grabbed two beers from Calavera, their American Pale Ale and Belgian-style Dubbel as well as Baja Black, a schwarzbier from Baja Brewing Company in San Jose del Cabo and ITA (Imperial Tequila Ale), a strong ale aged in tequila barrels from Cerveceria Minerva. For our last stop we headed back downtown to the hip Calle Sexta (Sixth Street) and La Chupiteria for a tasting with Cerveceria Zesde. The brewers who are all under 21 wouldn’t be able to legally drink a beer in a bar in the United States got their start just six months ago and that seemed apparent with their first beer, DasFalco IPA. It had plenty of bitterness, but not much flavor to balance things out. 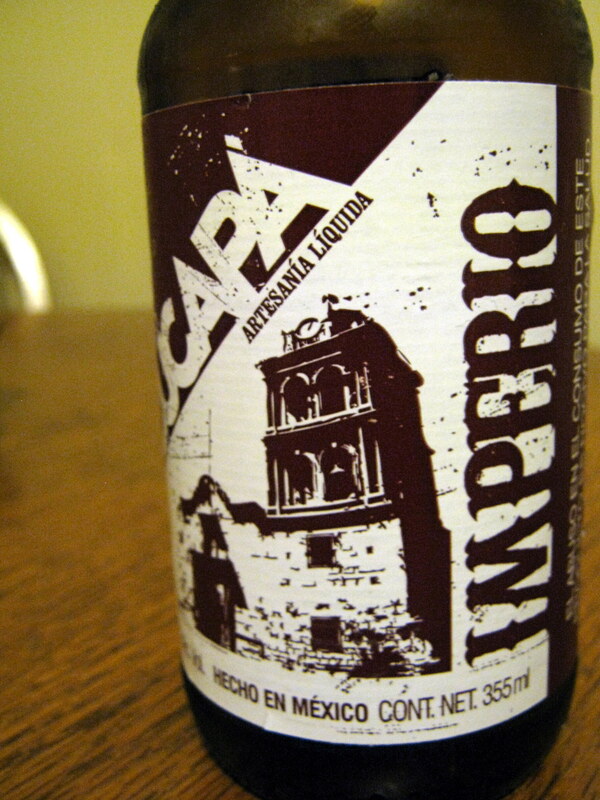 Their next two beers Vanilla Sky Stout and Strawberry Fields Ale were better. The stout had plenty of chocolate and vanilla sweetness with roasted malt to balance things out while the strawberry ale had a strawberry sweetness that wasn’t overpowering (although it did get a bit too sweet for me as it warmed up). With that the tour ended and many of the turistas elected to have dinner or check out other bars in downtown Tijuana before heading home. 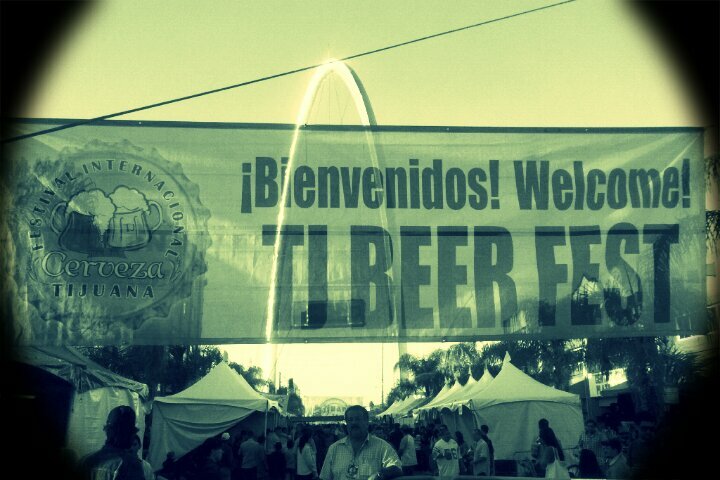 Note: I consulted with Turista Libre on the breweries we should visit in Tijuana and helped promote the event. Click below for a few more photos from the tour.